1. Are IRAs Taxable After 70-1/2 Years? 3. 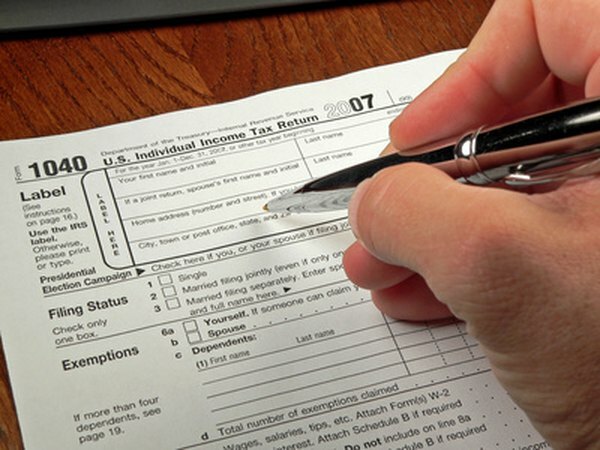 Can I Deduct a Roth IRA From My Taxable Income? Individual retirement accounts were first authorized by Congress in 1974 to provide self-employed individuals, and others who were not covered by a qualified retirement plan at work, with a means of setting aside a portion of their earnings in a tax-advantaged account. Congress later expanded access to IRAs to almost anyone who has earned income. Congress also authorized a new type of IRA, called a Roth IRA, that offers different types of tax advantages. You can open and contribute to the account even if you are on Social Security, as long as you have other earned income. Tax regulations restrict you from opening or making contributions to a traditional IRA once you reach age 70 1/2 years. This age restriction does not apply to Roth IRAs. Anyone, of any age, can open and make contributions to a Roth IRA, and there is no requirement for mandatory withdrawals from a Roth IRA. In fact, there is no requirement to ever take a withdrawal from a Roth IRA. You can leave your money in your Roth IRA for as long as you live. You can open and make contributions to a Roth IRA in any year that you have earned income, and you can contribute 100 percent of your earned income, up to the maximum allowed by law, each year. For the 2012 tax year the maximum allowable contribution was $5,000 if you are younger than 50 years, and $6,000 if you are are 50 years or older. You can make contributions even if you are on Social Security, but you can't contribute more than your earned income. Having unearned income, such as Social Security income, does not disqualify you from contributing to a Roth IRA, as long as you also have additional earned income. For example, if you are 69 years old and draw Social Security, but have a part-time job that pays you $4,500 per year, you can contribute the entire $4,500 to your Roth IRA. If you are married and file a joint tax return, and either you or your spouse has earned income for the year, you can both contribute to your individual Roth IRAs. All contributions to a Roth IRA must be made with after-tax dollars. You won't get to take a tax deduction for making a contribution to your Roth IRA, as you would with a traditional IRA, but all of the money you contribute grows on a tax-deferred basis as long as it remains in the account. Since you've already paid taxes on your contributions, you withdraw them at any time, for any reason, without creating a taxable event. Once you've had your Roth IRA for five years and you are at least 59 1/2 years old, you can take qualified distributions from the earnings portion of your Roth IRA without any federal income tax liability at all. Edward Jones: What is Roth IRA? How Do I Take Money Out of an IRA Tax-Free?